The world of sales and marketing has evolved rapidly over the years. Consumers now have more buying power, more access to information and more control over the entire buying cycle. That means salespeople need to adapt as well. Pushing a quick sale on a disinterested consumer is no longer going to work. Instead, you need to learn the ins and outs of the inbound sales methodology. Inbound sales is a sales methodology that prioritizes the needs, challenges, goals and interests of individual buyers. Instead of focusing on closing the sale as soon as possible, inbound salespeople work to meet consumers where they are and then guide — not push — them through the decision-making process. By analyzing a buyer’s digital behavior during the awareness and consideration stages of the buyer’s journey, the smart inbound salesperson will be able to craft a helpful, personalized sales approach for each individual. Ultimately, the extra time and care you put into educating your prospects will increase your likelihood of converting them into successful, long-term customers. What is the Difference Between Inbound and Outbound Sales? Outbound sales is the traditional sales approach involving cold calls, trade shows, purchased contact lists and other activities some would deem spam-worthy in today’s day and age. In other words, outbound sales is the act of “pushing” your message out to a large number of people who may or may not be interested in your product. On the other hand, the inbound sales methodology is the act of “pulling” interested prospects to you and then qualifying them based on their fit. Think about it this way: When you're cold calling a lead, is it because they've expressed a need for your product or service, or are you making an assumption? The bread and butter of inbound sales is that it encourages buyers to hand that information to you, so you don’t have to make sweeping “outbound” assumptions. But contrary to popular belief, you can use outbound sales tactics in an inbound way. In fact, you should! How Do I Use Outbound Sales Tactics in An Inbound Way? The right mix of both inbound and outbound sales tactics is necessary to truly grow as a company. In some ways, you could consider outbound sales as synonymous with prospecting: it’s the act of sourcing leads, whereas inbound sales is the act of following up with and nurturing those leads. The crux of inbound sales, then, is context, resources and research. Even if you’re following up with cold-sourced leads, you can perform some quick research to understand the explicit fit and implicit interest of those leads and then contextualize your follow-up message to fit the inbound framework. 1. Define your buyer personas. Your buyer personas are fictionalized representations of the types of customers who would benefit the most from your product or service. A buyer persona description should include information like job role, company size, challenges, goals, preferred social channels, level of buying power and more. In order for the inbound methodology to work, both your sales and your marketing teams need to be aligned on personas you’re targeting and the process for targeting them. This alignment ensures the scalability of your team and the success of your outreach efforts. 2. Analyze your leads’ digital body language. As your lead engages with content and information, they build up what we call their digital body language. Digital body language is an aggregate profile of all the actions they’ve taken on your website, including the content they’ve engaged with, the pages they’ve viewed and all of the personal information they’ve submitted through forms. This information can help you understand which buyer persona bucket they fall into, what challenges they’re experiencing and which solutions they might be interested in. Thanks to closed-loop reporting, capturing all of this information is pretty simple. Once you have the “inside scoop” about what your prospects are looking for, you can prepare yourself to have a more helpful, meaningful conversation. So, before you get a prospect on the phone, study their digital body language. Know what products they’ve been researching, know the buzzwords to listen for and understand the pains they're experiencing that have led them to check out your organization. Remember: You can also check social channels like LinkedIn, Twitter and Instagram for any additional information you might be missing. Your goal for the follow-up process should be to add value before you ask for value, so the more contextual information you can gather, the better. 3. Align your sales and marketing operations. All of the information your marketing team captures during the initial lead-generation process is the information you’ll use to tailor the cadence of your sales outreach and the content of your messages. However, you need to make sure your sales team has access to the same information that your marketing team has — so if your sales and marketing teams aren’t working within the same platform or if those platforms aren’t integrated, you need to figure out how to enable easy access to that information from both teams. Understanding where marketing and sales outreach overlap can help you streamline the handoff process so your prospects aren’t bombarded with redundant content or irrelevant messages. Why Should I Use Inbound Sales Tactics? Research shows that up to half of all closed-won sales go to the salesperson who followed up first. If you’re not trying to capture your prospects’ interest at the early stages of the buying journey, you could be missing out on thousands of leads. By taking the time to build trust, educate your prospects and position yourself as a trusted resource early on in the decision-making process, you can ensure that you’re the first person that prospect reaches out to when they’re ready to make a purchase. Obviously, this long-term process can be difficult for salespeople who are eager to close the deal — but it’s important to remember that it’s not about you. Instead, it’s about how you can help the buyer. Prioritizing the buyer’s needs before your own is essential for inbound sales success. Instead of the classic “always-be-closing” sales strategy, the inbound sales motto is ABH: Always Be Helping. As you build a relationship with your prospects, keep the conversation problem-oriented and help them identify their issue. Then, once their challenge has been clearly defined, you can supplement the conversation with solutions-oriented content. For example, if a lead has converted on a bottom-of-funnel offer for a website redesign, but also downloaded a top-of-funnel content offer on inbound marketing, we would be sure to speak with them about inbound first and avoid an unsuccessful sales pitch. Based on their actions, it's clear a website redesign is their primary goal, but they’ve also shown interest in inbound marketing. Thus, we would want to structure the conversation around the benefits of running inbound marketing on their new sales-ready website. Obviously, if they want a demo and are ready to talk to sales, speak with them right away. If they’ve downloaded a few content offers, reach out to them by the end of the day. If they’re an email subscriber, you might not want to contact them until the end of the week. By identifying every leads’ buying stage, you can approach them with the strategy that’s likely to work best. With the right tools and guidance, organizations of any size can effectively implement inbound sales. Working with an experienced HubSpot Partner Agency like New Breed can help establish the strategy and structure of your inbound marketing and sales process. That's key to success as you roll out this new methodology. 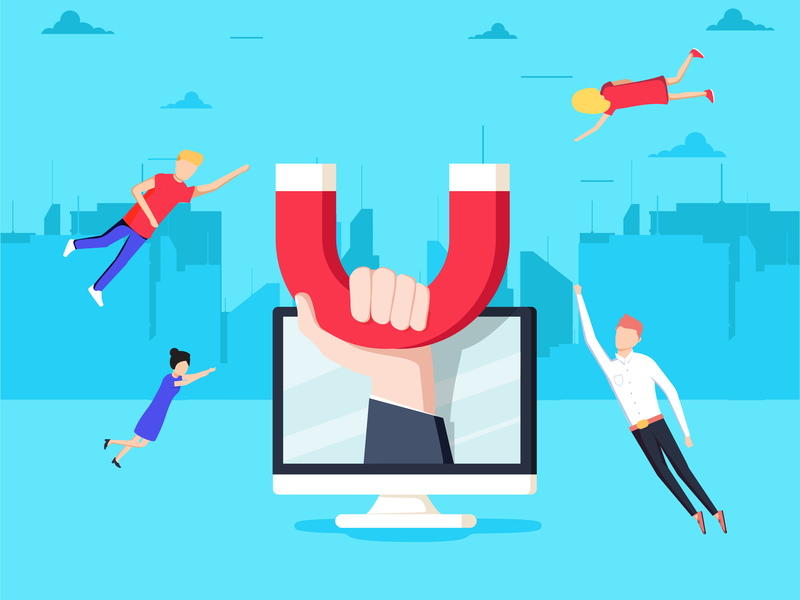 Because inbound marketing is a constant stream of flowing content, your inbound sales team should be supplied with the sales-qualified leads needed for success. If you're already running an effective inbound marketing program, it's time to embrace the power of inbound sales as well! Soon enough, prospects will be flowing with the help of your unified marketing and sales teams to accomplish your organization's — and most importantly, your customers' — goals.